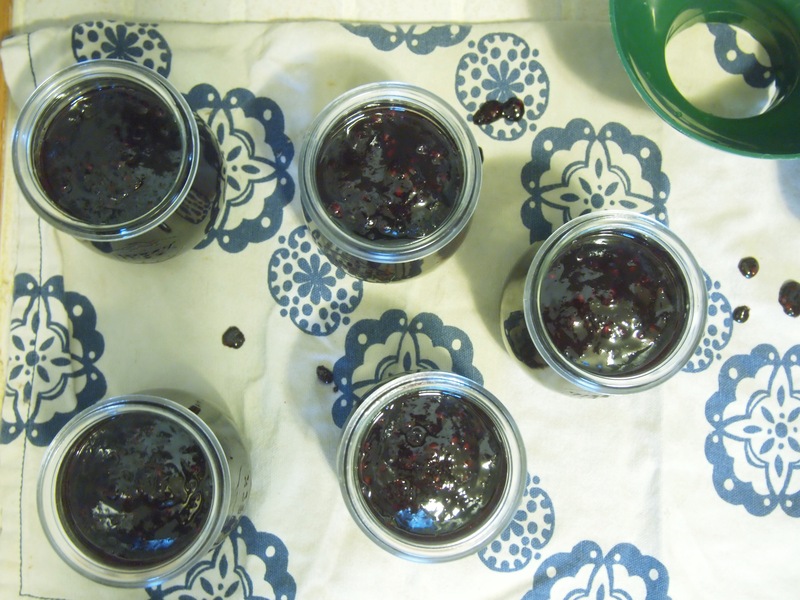 Jam is beautiful to make. Usually I forget to take pictures of what I am making, but I actually want to document the process because I adore every stage of making jam. The berries or stone fruit are vibrantly colorful, the taste testing along the way is never terrible, and I know I am preserving the natural deliciousness of perfectly ripe fruit. Of course there is plenty of sugar in jam, but I eat it sparingly. I want to ensure I have enough to last me until the next season so as not to buy any from the store. 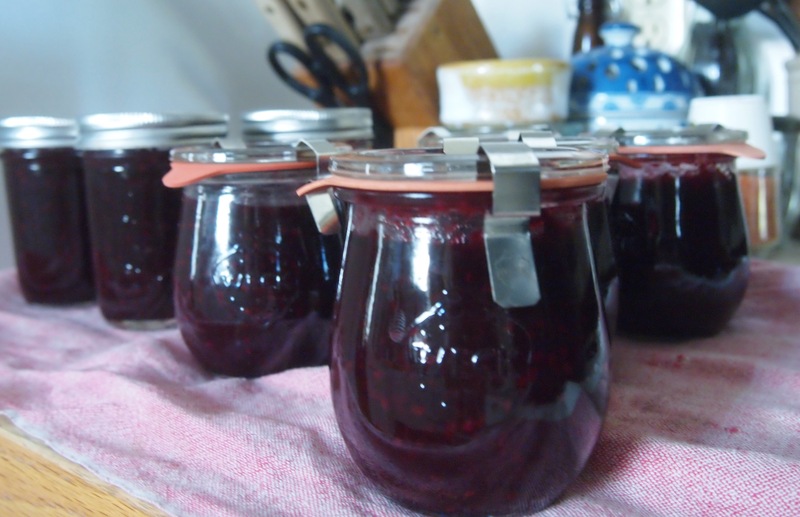 Jam is too easy to make to have to purchase over and over. I’d rather buy fruit and have the option to eat them fresh or bake into a dessert and still have enough to make jam. The process is simple and straightforward. 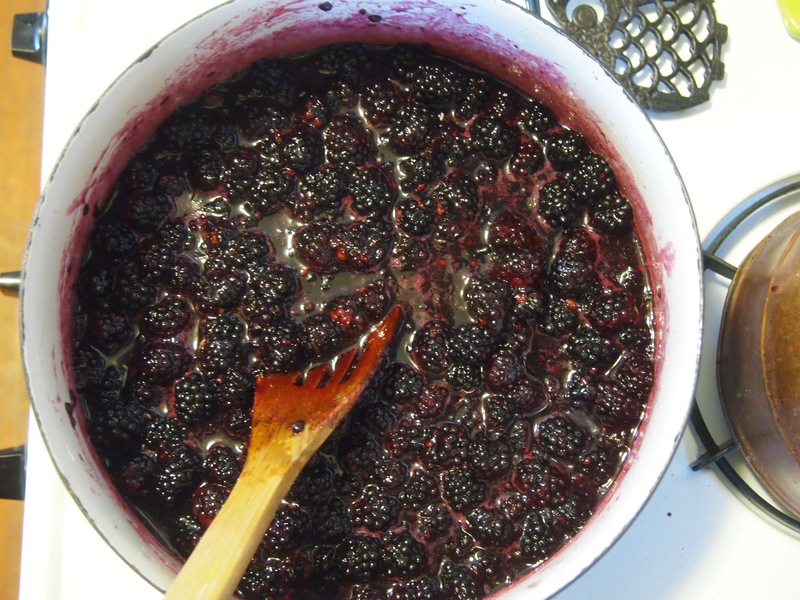 Heat up fruit with sugar to your taste preference, and stir frequently so it doesn’t brown or burn. Make sure your canning supplies are CLEAN and also have the water bath heating up at the same time. Hot jam has to go into hot jars. Neither can be cooled down. 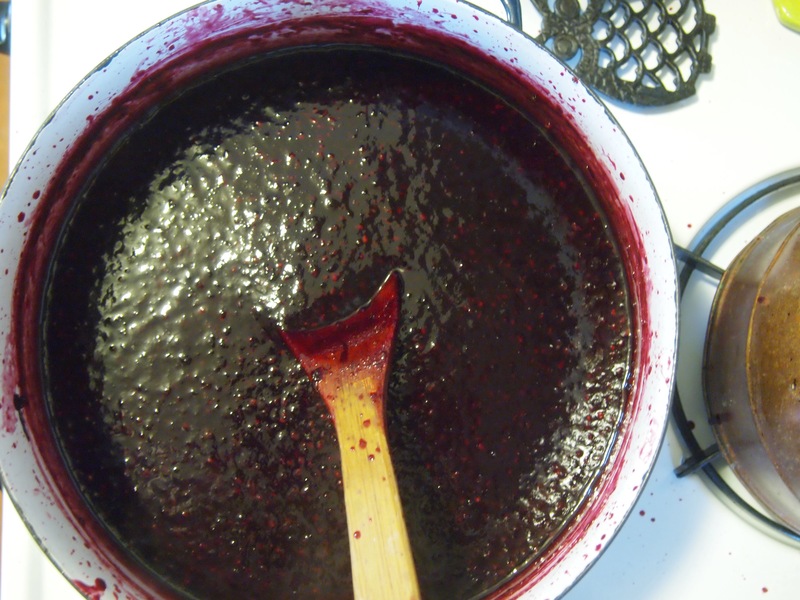 Once the jam heated up, I took an immersion blender to it to make it all smooth. I keep the seeds in because I like them and it keeps the process simple. I then processed in the water bath for 15 minutes. It’s so pretty and tasty! I think I made enough for myself and my husband with a few extra for gifting.